We invite you to Join the growing global sisterhood and be part of the healing of the feminine and the earth. This workshop is a great way to get introduced to sacred sexual awakening and healing (AH) in a safe, clear impeccable step by step process. The AH practice is a self-healing modality for clearing trauma, shame and blocks to pleasure and enjoyment. We hold trauma, emotional and energetic imprints in our bodies that can be released with this unique, transformational healing. We are healing the whole world by holding sacred space for each other to heal ourselves. This workshop is for you if you are ready to go to the next level and dive deep into your sexuality and spirituality. By the end on Sunday, when you danced, you were in your zone, joyful and confident about who you are. When we circled you and offered those words of light, you literally glowed, as though Divine light was shining thru the ceiling down onto you. It was among the most beautiful visions I’ve been blessed to share. Whatever your spiritual beliefs are, Pat’s retreats and workshops offer a universal message of love, transformation, and hope. Workshops are hands-on, interactive classes that focus on developing your spirituality, one small step at a time. Retreats offer the benefits of multiple workshops, plus the added bonus of getting away from it all – so you can relax and really expand and explore your spiritual strengths. Retreats offer more time for reflection and for building a conscious awareness of God’s presence. 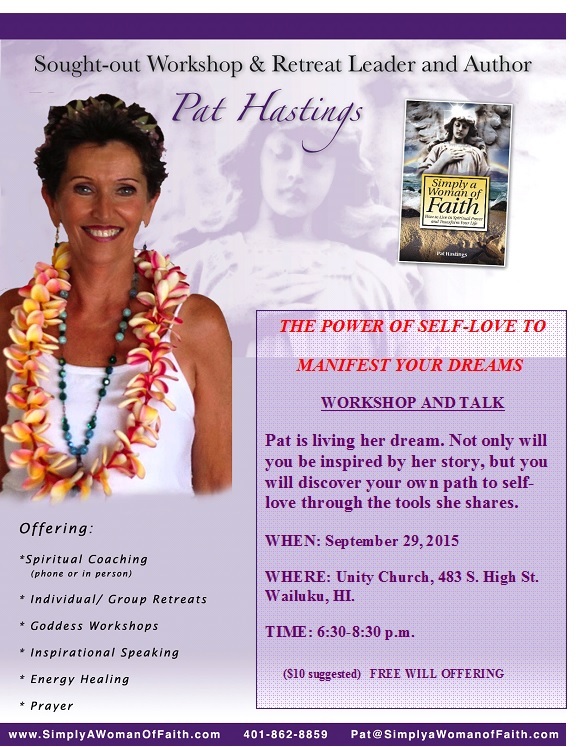 Allow miracles to find you – Pat will show you the way. 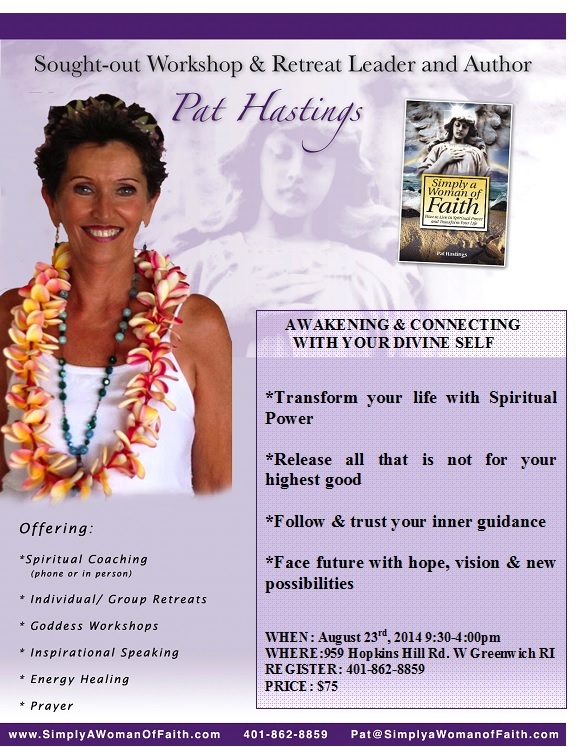 Pat has been leading women’s spirituality retreats and workshops for over a decade.